Palate: Well-rounded & smooth, with a nice length. The flavors of coffee, spice, & vanilla clearly shine through & are wonderful enhanced by a little bit of cocoa. The cognac & the coffee liqueur are perfectly matched. 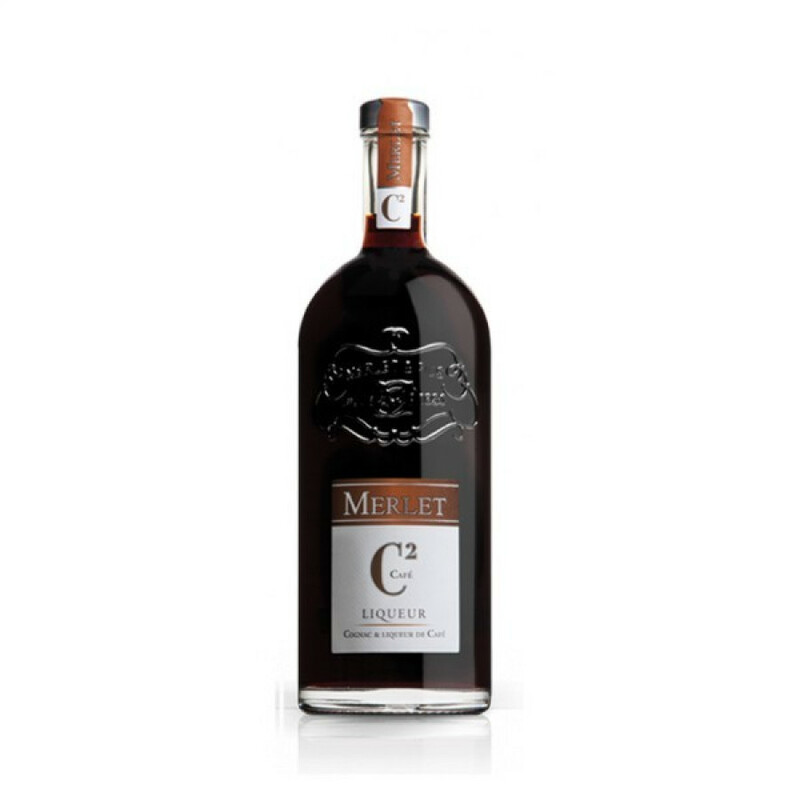 A wonderful blend of coffee & cognac makes the Merlet Liqueur CS Cafe au Cognac a delightfully different way to enjoy your favorite tipple. Showcasing two after dinner classics, the brains at Merlet Cognac partnered with a La Rochell coffee roaster, Merling, to create this masterpiece. The coffee within the mix is Brazilian Arabica, roasted and ground on the day the product was blended and then immediately infused in hot water. This is then stabilized by neutral alcohol and flitered, before being blended with Cognac. The finished result has a wonderul intense aroma, and the low levels of sugar allows the natural bitterness of the coffee to shine through. Enjoy neat, on the rocks, or combined with soda water or tonic for a refreshing long drink. With a traceable history dating back to 1850, the Merlet family have continued to produce cognac, alongside a continually growing range of other products, to the current day. Headed today by Gilles Merlet, his sons Pierre and Luc joined the business a few years back, bringing with them a new generation of enthusiasm and direction. Although the house Distillerie Merlet & Fils originally produced eaux-de-vie for some of the most prestigious cognac houses in the world of cognac, they are now famous in their own right, not only for their quality cognacs, but for their innovative range of other products that sell around the globe. Tasting review by Merlet Cognac: Nose: First, the powerful fruitiness of blackcurrant. Then comes the Cognac with some Kirsch and Madeira notes. Palate: Powerful blackcurrant followed by the flavors of blackberry jam. You must try it with crępes - that's the way to consume this brandy liqueur.